Nicola Winstanley's writing has appeared in various literary magazines including Geist, The Quilliad, text/lit/mag and Caterpillar (UK). She was a GritLit poetry finalist in 2015, and a fiction runner up in 2016. Nicola has published two children’s books, Cinnamon Baby, shortlisted for the Marilyn Baillie Picture Book Award, and The Pirate’s Bed. Her third book, A Bedtime Yarn, is forthcoming. 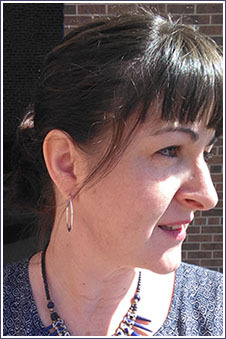 Nicola is a professor of Media Studies at Humber College and is an MFA candidate at UBC. She lives in Hamilton, Ontario.